A concrete patio a can be a convenient and beautiful way to increase the value of your home, entertain guests, or just create a relaxing outdoor space for your family. As with any potentially costly project, you need to form a solid idea of what it will end up costing you. You can use the following questions to help you form a mental picture and to get an accurate quote from a contractor. Quite a significant portion of the total cost of your concrete patio will come from paying for the labour. That means, on top of the material cost, your contractor will quote you for the work that’s needed. You can save on this cost by doing it yourself. If you are an avid DIY-er, it’s not too complicated to build your own patio if you have the right tools and a little bit of experience. Just make sure that you have the time to complete the project. Call contractors around your area for quotes to get an idea of what the difference will be between doing it yourself and hiring a contractor. The materials needed to create a concrete patio should not cost as much as the physical labour, but they will still represent a sizable amount. Contractors can sometimes source materials for cheaper, leading to competitive quotes. For the rest of us, the typical cost of materials for a 45 square-meter patio should be around $700-$1000. The price will naturally differ based on what kind of concrete and materials you want to use. What kind of concrete do you want/need for your patio? 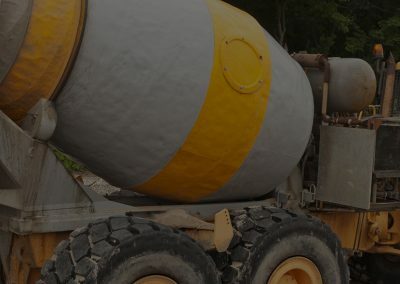 The type of concrete can play a significant role in how much you will end up paying for your materials. Different types of concrete have their own pros, cons, and uses. For example, you may want to install limecrete if you want an environmentally-friendly option or pervious concrete if you want a self-draining patio. 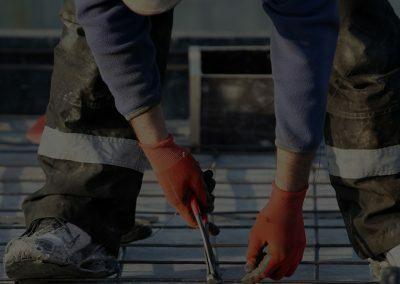 You can also shorten your installation time by going with rapid-strengthening concrete or choose a high-performance concrete if it will see heavy use or if you have unique circumstances that you need to adapt to. Standard concrete will be relatively cheap at around $15-20 per square meter. That price can rapidly go up for a higher quality or more complex type of concrete. What will the size of the patio be? This will depend entirely on what patio you want. However, it will play a big enough role that you should take the time and carefully assess your needs. A larger patio means more work and materials, which translates to a significantly higher price. A typical patio is around 45 square meters and should cost around $3500 with a contractor or $700-$1000 without. If you want to use it to entertain, think about how many guests you are likely to have, and try to come up with suitable dimensions. If you want to install a patio as an extension of your home, the layout of your home may play a prominent role. If you can provide a contractor with the dimensions, they should be able to provide you with an accurate quote. Do you want a decorative finish? Most people would like some kind of decorative finish to round off their patio, boost its curb appeal, and turn it into an addition to be proud of. There is no shortage of options when it comes to a concrete slab patio. One of the most popular of these is a stamped concrete slab. To achieve this, a pattern is literally stamped onto the concrete after it has been poured. This can significantly increase the price (the same 45 square-meter patio could cost up to $10,000), but it will still be cheaper than getting the same effect with alternative methods. 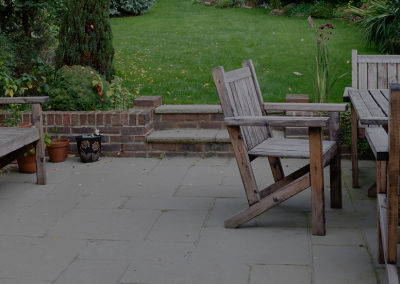 Unsure of how much your patio will cost? Call us and we will give you an accurate and honest assessment of your needs and provide you with a quote.